Buying a home is a huge financial commitment that requires a great deal of due diligence. More often than not, home inspections uncover an array of problems that must be settled before the contract closes. Buyers can typically use these findings to negotiate a lower sale price so they have room in the budget fix them. Coldwell Banker in Wisconsin Rapids has 75 years of experience in this industry, so they’re experts on what to look out for when purchasing a single-family home. Interior and exterior water damage is a common issue found during a home inspection. In some cases, the land was not properly graded to allow for drainage; this causes the home to flood following a heavy storm. Unknown pipe leaks or inadequate waterproofing can lead to floor and drywall damage. The inspector will discover mold if the moisture was left untreated for a long period of time. The roof takes a great deal of wear and tear while keeping your family dry. It can begin to leak, lose shingles, or sag over time. Home inspections of much older homes may uncover the need for a full replacement. Other times, the inspector finds that the roof was improperly installed. Faulty wiring is one of the leading causes of residential fires each year, so you want a thorough inspection before buying a house. 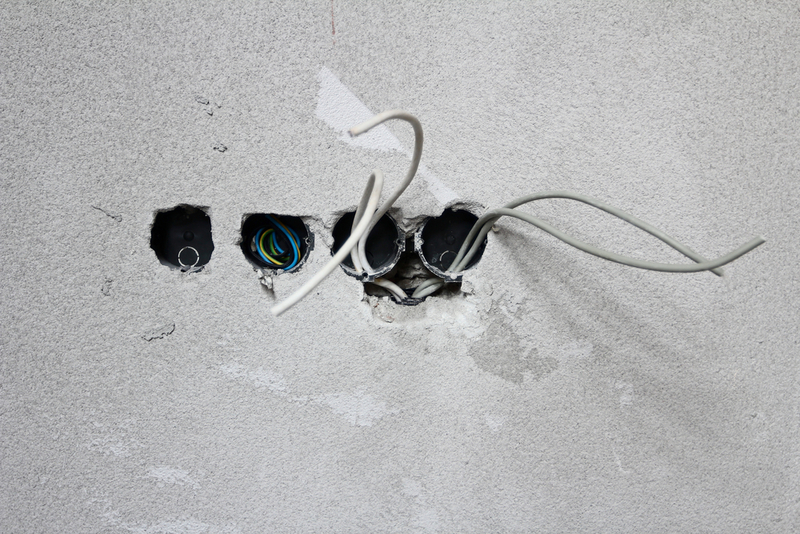 Some common issues that arise include a low number of outlets, improper grounding, or outdated breaker switches. Also, electrical codes have changed over the years. An electrician may realize what was permissible 30 years ago no longer meets safety requirements. When you’re buying a home, these problems pose the most danger; make sure you have the original homeowner fix the problem before you sign the contract. Age is the cause of most HVAC problems you will find during a home inspection. For example, older systems have parts that no longer function or don’t meet today’s energy standards. This wear and tear can pose a danger to your family if carbon monoxide leaks are caused by a broken heat exchanger. You may also find that the HVAC is too small for the amount of square footage. Home inspections uncover these four issues far more often than buyers realize. The real estate professionals with Coldwell Banker are experts in the home buying process. Use an agent or real estate broker with their group to give yourself an added layer of protection against making a costly mistake. Give them a call at (715) 424-4800 or visit their website to browse listings.